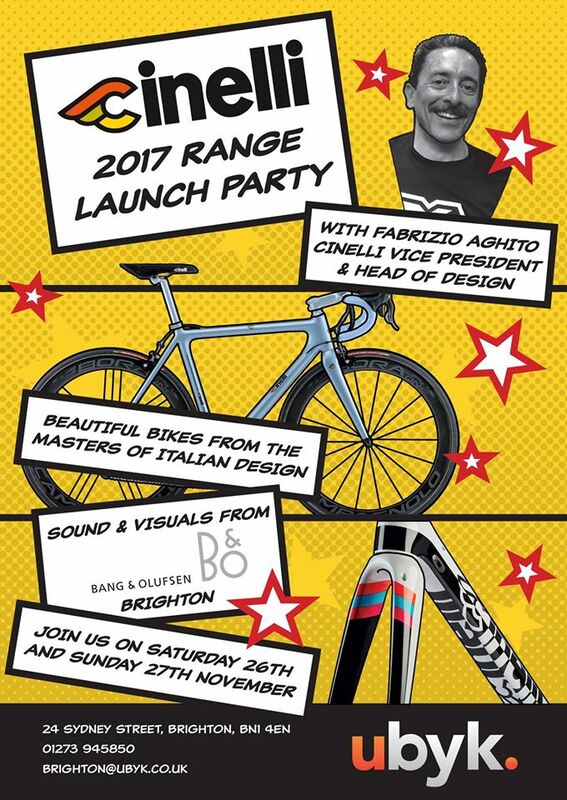 Official Cinelli 2017 Launch is happening this month! Come down to ubyk Brighton, 24 Sydney Street, for a talk with Fabrizio Aghito, the Vice President and Head of Design. We'll also have Bang and Olufsen doing sounds, and the local off license doing beers. Give the shop a call on 01273 945850 or email us at brighton@ubyk.co.uk for more info and to book yourself in. Should be fun, and I'm sure there'll be some kind of social after for those that are interested.